Waste sent to landfill is subject to tax which your business will pay for as part of your waste collection service charge. The landfill tax rate is £88.10 per tonne (correct at 1 April 2017) and rising each year. You can save paying the tax element of your waste bill if you reduce, reuse or arrange for your unwanted materials to be recycled by a licensed waste contractor or the local council. If your business involves food, think about organising a separate food waste collection or look into composting food waste. Organise separate bins inside and outside of your business to sort and keep recyclables ‘Clean, Dry & Loose’ – ready for onwards collection. If you don’t comply with the legislation you could be held responsible and have to pay a fine. Call the Environment Agency on 03708 506 506 or email to find out more, or contact the commercial waste team at your local council. 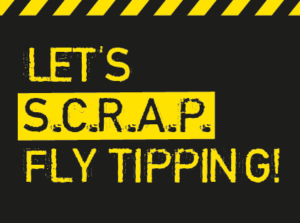 If you are a waste carrier business we would like you to complete a short survey about Fly-tipping in Norfolk. The survey should take no longer than five minutes.